Prevent Termites from Attacking Your New Home with Our 25 Year Warranty! Our PreventAmite service is a whole house preventative treatment that keeps both drywood and subterranean termites from infesting your home. Watch this video by Nisus and see how our PreventAmite service protects your homes, helps the environment, and saves you money. The PreventAmite service for new construction is backed with a 25 year whole house warranty against termites and wood destroying fungi. 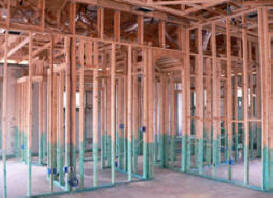 We specialize in preventative treatments for new residential construction. Whether you are building a track home, condo, or a custom home in the hills, we can give you a 25 year whole house guarantee against termites. Affordable, whole house treatments can be done in as little as one day! 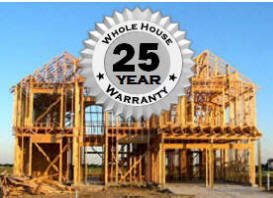 25 year whole house warranty against drywood termites, subterranean termites, and wood destroying fungi. © Copyright 2012. 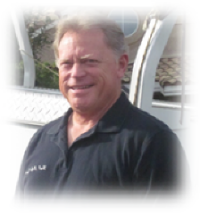 PreventAmite - a Service of Cal Oaks Termite. All Rights Reserved.